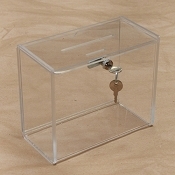 This clear locking donation box are best used next to the counter top for collecting donations or as a tip jar. 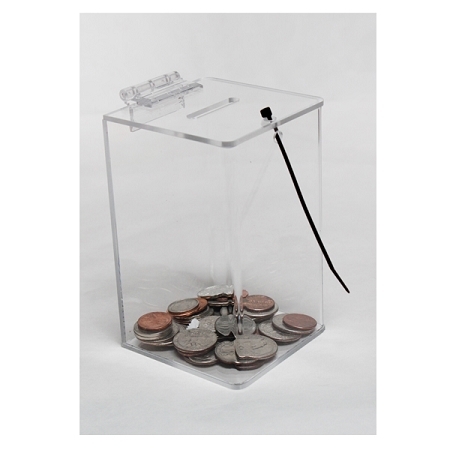 Comes with one black plastic tie to secure charity box. 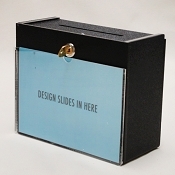 Please note: Must adhere design to box.